Although there are many types of visa for China, the most common is the L visa for tourists, the M visa for business, and the Q1/Q2 for those with a Chinese partner and the Z visa for people with work contracts in China. Visa durations are generally 30 days. You may be able to get an L visa with double entry, meaning you can stay 60 days in total, but, you will have to leave the country prior to the end of the first 30 days. Going to Hong Kong or Macau and back will suffice. Z visa is normally twelve months, although that may depend on the contract with your employer. I often hear of people getting multiple entry M visas. These durations and whether multiple entries were available was always in flux. You can only really only know for sure at the time of application. It’s was always indicated to me that it was preferred that visa applications were made in the applicant’s home country through the local embassy’s visa office. That said, I did get a visa extension through the PSB one time without too much trouble and was also able to easily get a visa in Hong Kong, but in that case it had to be done via a travel agency. There is also short stay visa-on-arrival, usually for 3 days to 7 day stays within a region such as a Shenzhen VOA. Here is the basic info for applying for a China Visa as supplied by the Chinese Embassy (sourced: 18/10/2016 china-embassy.org). You should contact the Chinese Embassy relevant to your nationality, as specifics may differ based on applicants country. Original passport with at least six months of remaining validity and at least one blank visa page, and a photocopy of the passport’s data page and the photo page if it is separate. One completed Visa Application Form(V. 2013) with a recently-taken color passport photo (bare-head, full face) against a light background attached. Please fill in the form with the free Adobe Acrobat Reader. If you are not applying for the visa in the country of your citizenship, you must provide the original and photocopy of your valid residence permit, visa of employment or student of the country where you are currently staying. C visa is issued to foreign crew members of means of international transportation, including aircraft, trains and ships, or motor vehicle drivers engaged in cross-border transport activities, or to the accompanying family members of the crew members of the above-mentioned ships. 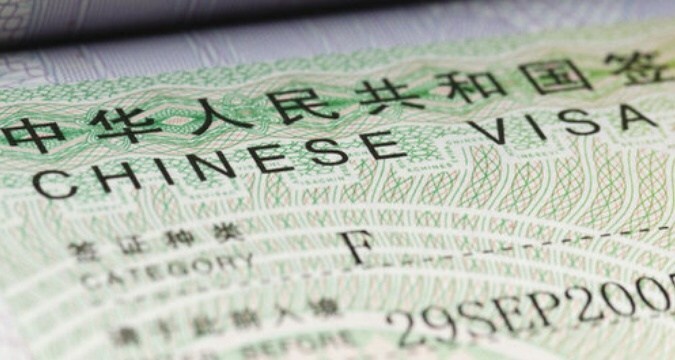 D visa is issued to those who intend to reside in China permanently. Supporting Documents: The original and photocopy of the Confirmation Form for Foreigners Permanent Residence Status issued by the Ministry of Public Security of China. Holders of D Visa shall, within 30 days from the date of their entry, apply to the exit/entry administrations of public security organs under local people’s governments at or above the county level in the proposed places of residence for foreigners’ residence permits. F visa is issued to those who intend to go to China for exchanges, visits, study tours and other activities. 3) Information on the inviting entity or individual (name, contact telephone number, address, official stamp, signature of the legal representative, or the inviting individual). Supporting Documents: An onward air (train or ship) ticket with confirmed date and seat to the destination country or region. J1 visa is issued to resident foreign journalists of foreign news organizations stationed in China. 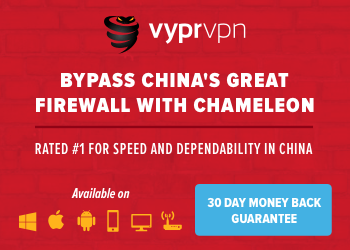 The intended duration of stay in China exceeds 180 days. Supporting Documents: Visa Notification Letter issued by the Information Department of the Ministry of Foreign Affairs of China and an official letter issued by the media organization for which the journalist works. Holders of J1 Visa shall, within 30 days from the date of their entry, apply to the exit/entry administrations of public security organs under local people’s governments at or above the county level in the proposed places of residence for foreigners’ residence permits. J2 visa is issued to foreign journalists who intend to go to China for short-term news coverage. The intended duration of stay in China is no more than 180 days. Supporting Documents: Visa Notification Letter issued by the Information Department of the Ministry of Foreign Affairs of China or other authorized units in China and an official letter issued by the media organization for which the journalist works. L visa is issued to those who intend to go to China as a tourist. Q1 visa is issued to those who are family members of Chinese citizens or of foreigners with Chinese permanent residence and intend to go to China for family reunion, or to those who intend to go to China for the purpose of foster care. The intended duration of stay in China exceeds 180 days. 2) Photocopy of Chinese ID of the inviting individual or foreign passport and permanent residence permit. 2) Original and photocopy of the consignor’s passport(s), as well as the original and photocopy of certification (marriage certificate, birth certificate, certification of kinship issued by Public Security Bureau or notarized certification of kinship) showing the relationship between parents and children. 3) A letter of consent on foster care issued by the trustee living in China who has agreed to provide foster care services and a photocopy of the ID of the trustee. 4) A photocopy of the certificate indicating the permanent residence status abroad of the parent(s) when the child was born, provided that either or both parents of the child are Chinese citizens. Holders of Q1 Visa shall, within 30 days from the date of their entry, apply to the exit/entry administrations of public security organs under local people’s governments at or above the county level in the proposed places of residence for foreigners’ residence permits. Q2 visa is issued to those who intend to visit their relatives who are Chinese citizens residing in China or foreigners with permanent residence in China. The intended duration of stay in China is no more than 180 days. R visa is issued to those who are high-level talents or whose skills are urgently needed in China. S1 visa is issued to those who intend to go to China to visit the foreigners working or studying in China to whom they are spouses, parents, sons or daughters under the age of 18 or parents-in-law, or to those who intend to go to China for other private affairs. The intended duration of stay in China exceeds 180 days. 3) Original and photocopy of certification (marriage certificate, birth certificate, certification of kinship issued by Public Security Bureau or notarized certification of kinship) showing the relationship of immediate family members between applicants and inviting individual. “immediate family members” refers to spouses, parents, sons or daughters under the age of 18, parents-in-law. Holders of S1 Visa shall, within 30 days from the date of their entry, apply to the exit/entry administrations of public security organs under local people’s governments at or above the county level in the proposed places of residence for foreigners’ residence permits. S2 visa is issued to those who intend to visit their family members who are foreigners working or studying in China, or to those who intend to go to China for other private matters. The intended duration of stay in China is no more than 180 days. 3) Photocopy of certification (marriage certificate, birth certificate or notarized certification of kinship) showing the relationship of family members between the applicant and the inviting individual. 1) Original and photocopy of the Admission Letter issued by a school or other entities in China. 2) Original and photocopy of “Visa Application for Study in China” (Form JW201 or Form JW202). Holders of X1 Visa shall, within 30 days from the date of their entry, apply to the exit/entry administrations of public security organs under local people’s governments at or above the county level in the proposed places of residence for foreigners’ residence permits. X2 visa is issued to those who intend to study in China for a period of no more than 180 days. Z visa is issued to those who intend to work in China. 1) Foreigners Employment Permit of the People’s Republic of China issued by Chinese government authorities for Human Resources and Social Security, as well as Invitation Letter of Duly Authorized Entity or Confirmation Letter of Invitation issued by relevant Chinese entities. 2) Permit for Foreign Experts Working in China issued by the State Bureau of Foreign Experts as well as Invitation Letter of Duly Authorized Entity or Confirmation Letter of Invitation issued by relevant Chinese entities. 3) Registration Certificate of Resident Representative Offices of enterprises of foreign countries(regions) issued by Chinese authorities of industrial and commercial administration, as well as Invitation Letter of Duly Authorized Entity or Confirmation Letter of Invitation issued by relevant Chinese entities as well as Invitation Letter of Duly Authorized Entity or Confirmation Letter of Invitation issued by relevant Chinese entities. 4) An approval document for commercial performances issued by the Chinese government authorities for cultural affairs or Invitation Letter of Duly Authorized Entity or Confirmation Letter of Invitation issued by relevant Foreign Affairs Office of provincial governments of China. Holders of Z Visa shall, within 30 days from the date of their entry, apply to the exit/entry administrations of public security organs under local people’s governments at or above the county level in the proposed places of residence for foreigners’ residence permits. 5) Invitation Letter from the Chinese inviting party, where relevant. Further documents may be requested and must be submitted in individual cases. Visa fee for Australian official passport holder is A$180 and rush or express service fee may occur if the service is required and approved. No visa fee for Australian diplomatic passport holder. 1) The invitation letter may be in the form of fax, photocopy or computer printout, but the applicants should bear all the responsibility arised and consular officer may require the applicant to submit the original of the invitation letter. 2) If necessary, the consular officer may require the applicant to provide other documents or supplementary materials, or require an interview with the applicant. 3) The consular officer will decide on whether or not to issue the visa and on its validity, duration of stay and number of entries in light of specific conditions of the applicant. 4) The information is subject to change without notice in advance. 5) Please be noticed that, on a case by case basis, express or rush services may not be available and the processing time may be longer than 4 working days.